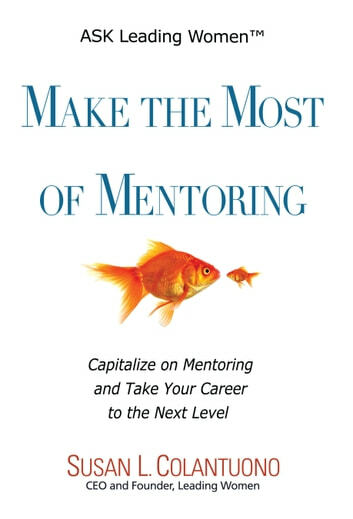 Make the Most of Mentoring is the most important book written on the subject since the advice "get a mentor" was first given to women interested in building their careers. Susan Colantuono's eye-opening new book sheds light on why formal mentoring programs haven't delivered better results for women. Its unique and refreshing content helps mentors, proteges and professionals who run corporate mentoring programs Insightful and rich with advice, Make the Most of Mentoring delivers unconventional guidance on how to tap into the power of this valuable career tool, optimize your time invested and reap high-impact benefits. You'll find valuable tools including: - Insights into the hidden reason why mentoring exists in corporations and the benefits of rethinking your mentoring relationship. - Key conversations and experiences for launching and nourishing a fruitful mentoring relationship. - 6 pitfalls common to most mentoring programs and solutions for avoiding them. - The surprising advice to indulge in a piece of C.A.K.E. and a slice of P.I.E. At Alcatel-Lucent, Amgen, BKC, Campbells, Kodak, MITRE, Pfizer, PSEG, Williams and other organizations, this practical and comprehensive guidance is helping women create careers that soar. Now it's your turn! 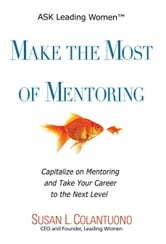 Nothing else you've read about mentoring gives you the high-powered tools you'll find in Make the Most of Mentoring.